I created this pink glitter eye makeup as a tutorial for the new years but couldn’t get around to posting it so today I’m going to post this as an EOTD! Dramatic eye makeup has always got a place in our favourites look and this one is dramatic with shimmer and rhinestones. Who says that medium skin tone girls can’t rock pale pinks and cool tone shades? The trick to getting cool tones right is to combine it with a shade with deep warm tones. For this look, I had a warm brown shade in the crease and I think this ties up the look really well. 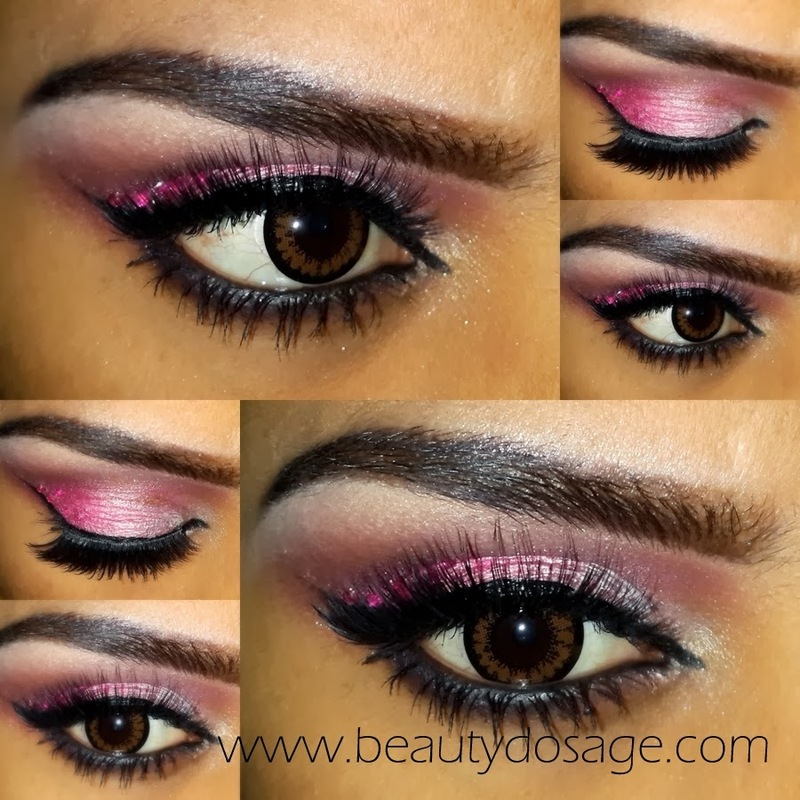 This is a great twist to a dark eye makeup; this look gets its drama from the rhinestones and the dark line on the upper and lower lash line. This makes this look a very versatile look for both day and night. I recently reviewed the circle lenses that I’m wearing HERE. Great job on the eyes. awesome look for a party!